Autonomic Technologies, Inc. (ATI) is a medical device company located in the San Francisco Bay Area focused on the development of neurostimulators for the treatment of severe headache. The company’s initial product, the ATI Neurostimulation System, is approved in Europe for the treatment of cluster headache and is currently being investigated in a multi-center, randomized study for the treatment of high frequency, high disability migraine. 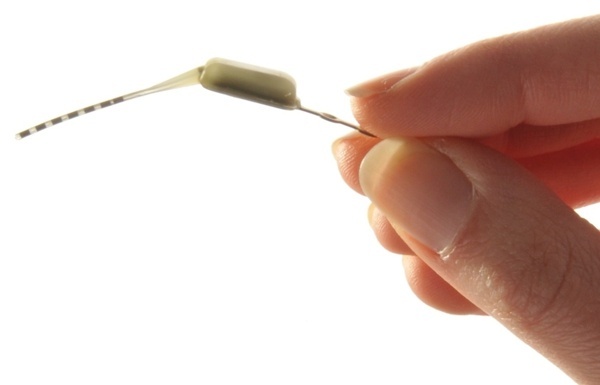 The ATI Neurostimulator: A miniaturized neurostimulator (smaller than an almond) with an integral lead designed to fit ranging facial anatomy. 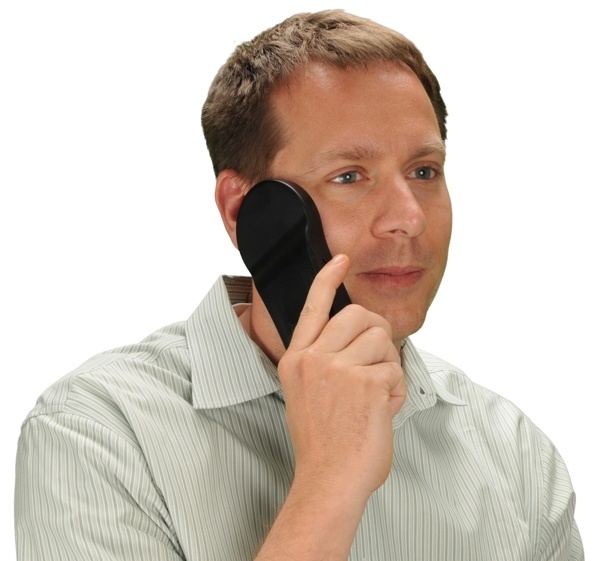 The Remote Controller: A hand-held device with simple therapy controls that provides on-demand patient-controlled SPG therapy. Therapy settings are individualized and can be adjusted quickly by physicians using a programmer laptop. The ATI Neurostimulator is implanted through a small incision in the upper gum above the second molar and positioned at the sphenopalatine ganglion (SPG) nerve bundle. The SPG is located deep in the face on either side of the nose. The neurostimulator is placed on the predominant side of the patient’s headache pain. The procedure leaves no external scars. 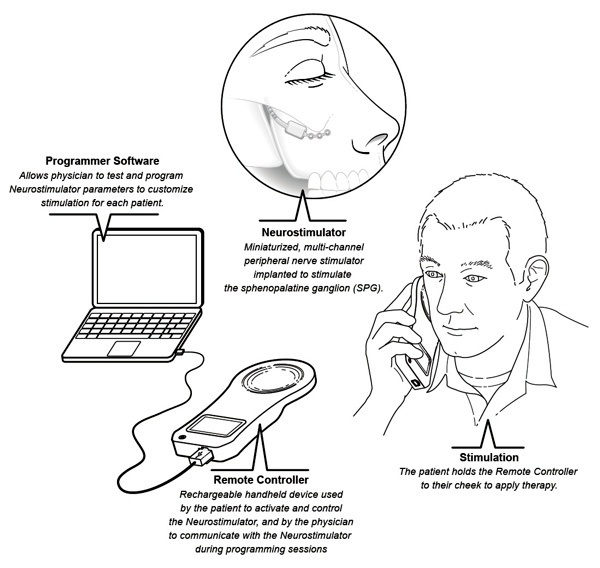 The patient then controls his or her own stimulation treatment as needed by turning on the Remote Controller and placing it on the cheek over the implanted ATI Neurostimulator. When the patient no longer desires stimulation, the Remote Controller is simply removed from the cheek, turning off stimulation therapy. New clinical results demonstrate that SPG stimulation with the ATI Neurostimulation System is highly effective in achieving fast pain relief in patients suffering from the debilitating pain of cluster headache. Results showed that patients experienced clinically significant improvements in headache disability and quality of life, and demonstrated that SPG stimulation may reduce the frequency of cluster attacks.